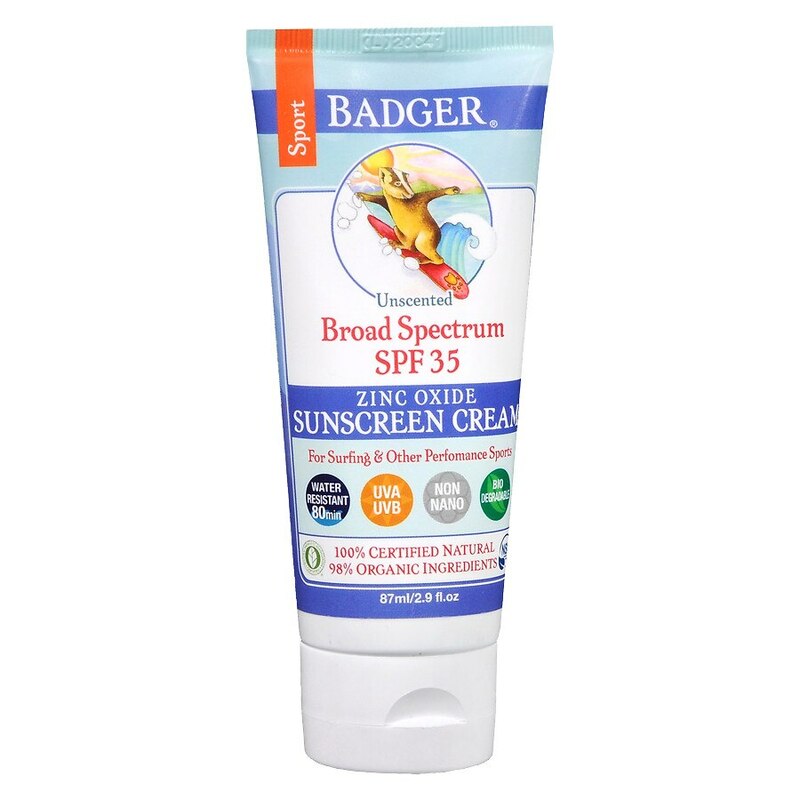 A totally natural sunscreen for the whole family. Our biodegradable and environmentally friendly sunscreens are rich in Certified Organic ingredients, naturally water resistant for at least 40 minutes, safe for children of all ages, screen both UVA and UVB rays, and thoroughly moisturize while they protect you from the sun. Our BPA- and Phthalate-free packaging is made from >50% Post-Consumer Recycled #2 plastic. Previously sun-shy Badgers can now be sighted around the world with their noses happily pointed towards the warm, luxurious sunshine! We'll meet you at the beach! For full protection, apply liberally (2 mg/cm2 of skin) to all exposed skin 15 minutes before sun exposure, then rub in to reduce whitening effect. Other Information: Store at temperatures below 90°F. © 2014 W.S. Badger Co., Inc.
For external use only. Do not use on damaged or broken skin. Stop and ask a doctor if rash occurs. When using this product keep out of eyes. Rinse with water to remove. Keep out of reach of children. If product is swallowed, get medical help or contact a Poison Control Center right away. 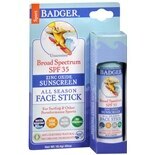 Badger Sunscreen All Season F....65 oz.